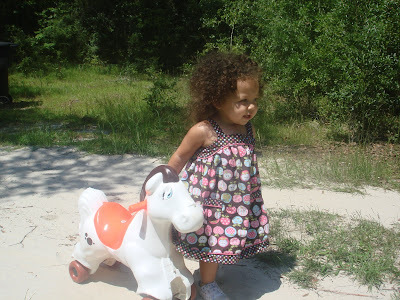 This is Zoe and her horsie. 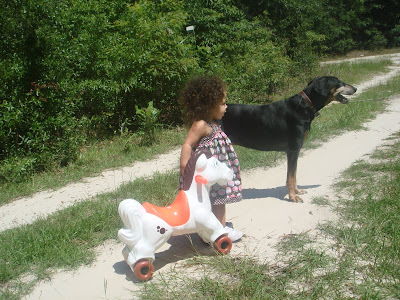 This is Zoe, her horsie and her doggie, Andie. 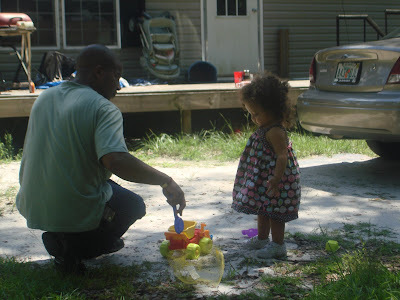 This is Zoe and her Daddy playing in the dirt. 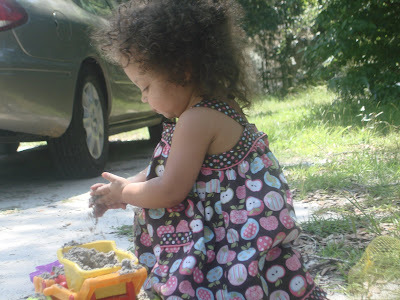 This is Zoe playing with dirt. Aah...what a lovely sunny summery day! 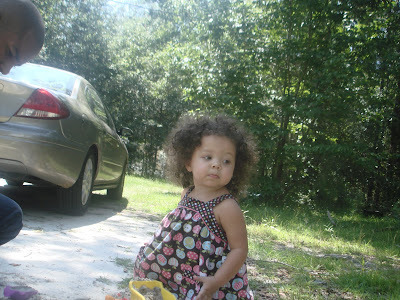 her dress is adorable! can you make one for me? I would, except that Wendy made this for Mara. It's my favorite.